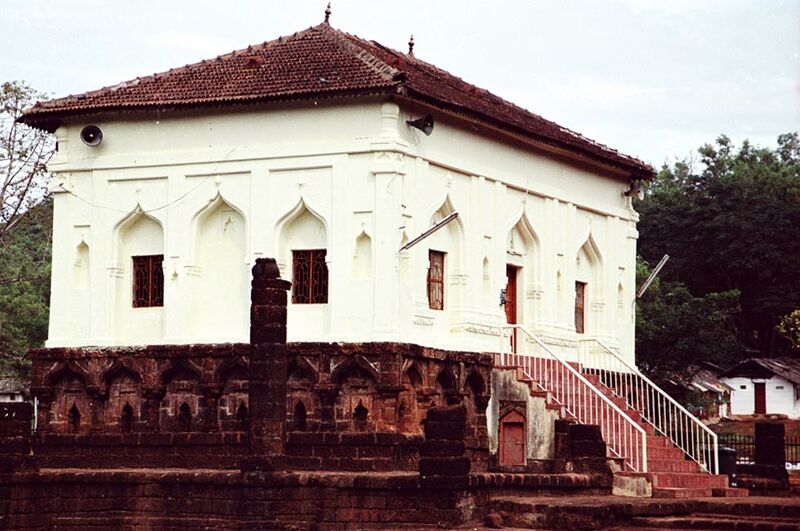 One of the only two sixteenth-century Islamic monuments which managed to survive the excesses of the Inquisition, the Safa Masjid lies 2 km west of the centre of the town of Ponda, in a district known as Shahpur. 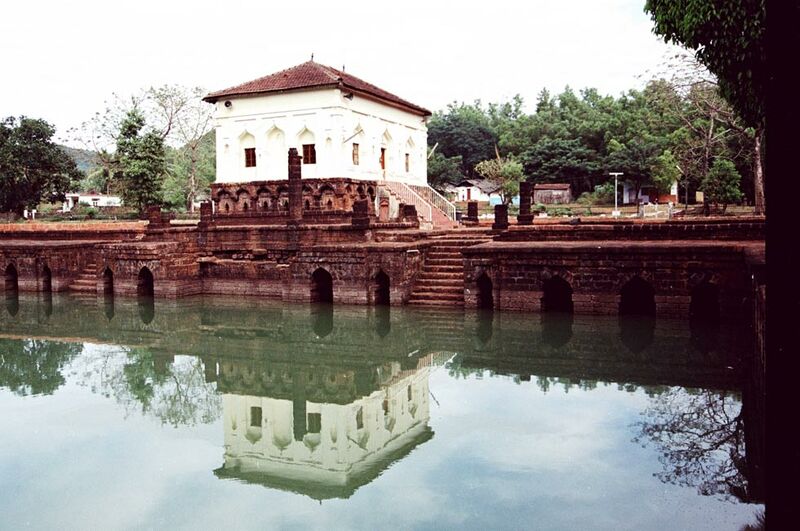 The elegant structure was built in 1560 by Ibrahim Adil Shah, the Sultan of Bijapur. The mosque was the focus of attention in a fairly extensive complex of gardens and fountains which lies in ruins today. The rectangular prayer hall of the mosque rests above a high base and is capped with a pointed terracotta tile roof. There are elegant Islamic arches decorating the walls. Remnants of octagonal pillars can be seen all around the mosque; perhaps these supported a covered courtyard to provide shade to worshippers. There is a well-constructed water tank with small chambers with ‘meharab’ designs nearby which is located to the south of the prayer hall unlike most mosques where it is located outside the main entrance. This has led to speculation that the tank may have been part of another religious structure which once stood there. Local legend also has it that there are hidden tunnels in the walls of the tank which connect it to a nearby water reservoir. This mosque is a venue of celebration during festivals of Id-Ul-Fitr and Id-Ul-Zuha, by the local Muslim community. There are rickshaws available at the main Ponda bus stand which can take you to the site of the Safa Masjid.